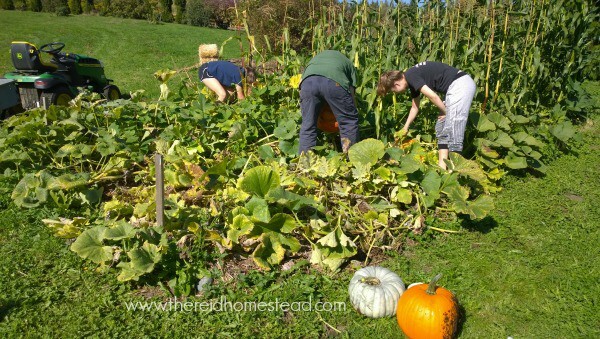 Fall is in the air, and it is almost time to harvest those pumpkins and winter squash. These are one of my favorite foods to grow in the garden. They are super easy, just plant and forget about them. Than as fall comes around, it is like a treasure hunt to see how many you can find. 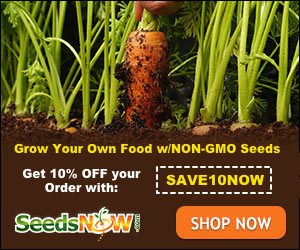 Please check out all of our favorite Homesteading and Gardening tools over in our Amazon Shop! You might also be interested in our articles 7 Reasons Why You Should Grow Blue Jarrahdale Pumpkins as well as our Hearty Pumpkin Spice Steel Cut Oats recipe. 7 Join me in the Homestead Blog Hop! I always plant a lot of varieties of pumpkin and winter squash and we all enjoy harvesting them together. 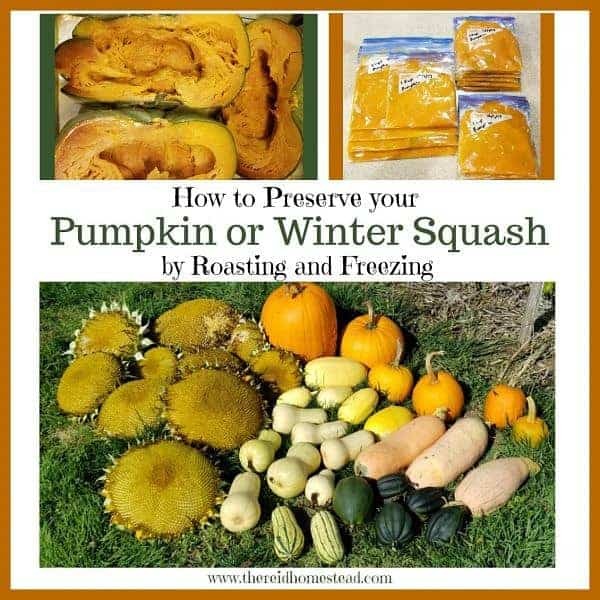 Most pumpkins and winter squash will easily keep for months if stored in a cool dark cupboard. I like to roast some of them and then put into the freezer for those lazy cooking days and it is nice to have on hand. You may also can pumpkin or squash in chunks using a pressure canner, but it is not safe to can it in a pureed form. 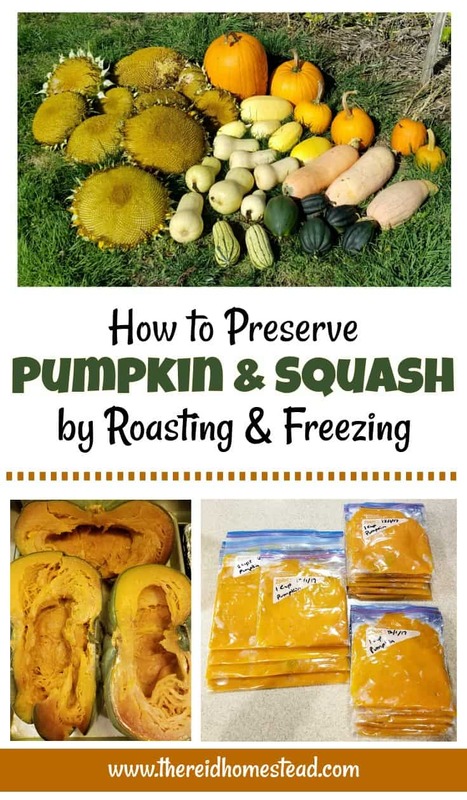 In this article, I will teach you how to preserve your pumpkins and winter squash by roasting and freezing it. Also see my article on why you should also freeze some of your tomato harvest! Starting from the top and moving down, delicata squash, acorn squash, butternut squash, Honey Boat delicata squash and I think the blue ones at the bottom were Sweet Meat squash. 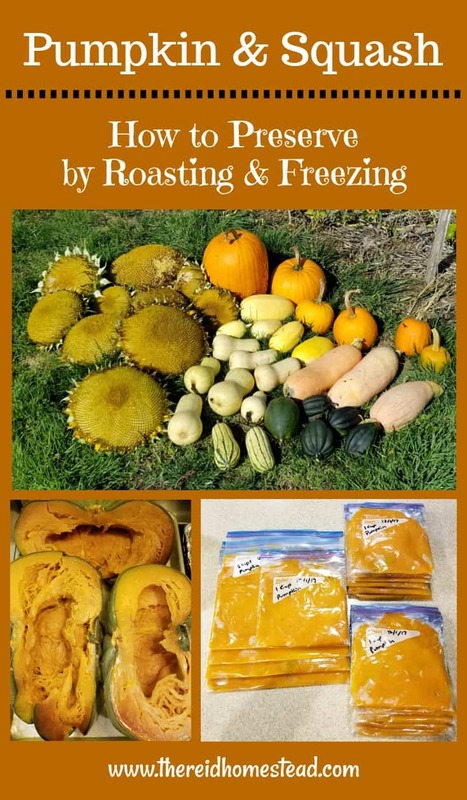 My favorite pumpkin or squash to use for roasting is the Jarrahdale Pumpkin. It is a beautiful blue flattish pumpkin that is just stunning to look at. 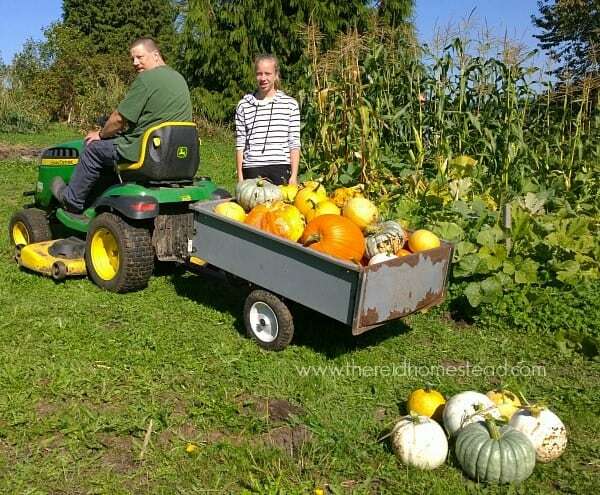 See my article 7 Reasons Why You Should Grow Blue Jarradahl Pumpkins. The meat of this pumpkin is similar to Butternut Squash, which is another favorite and works well with this method. But almost any type will work. 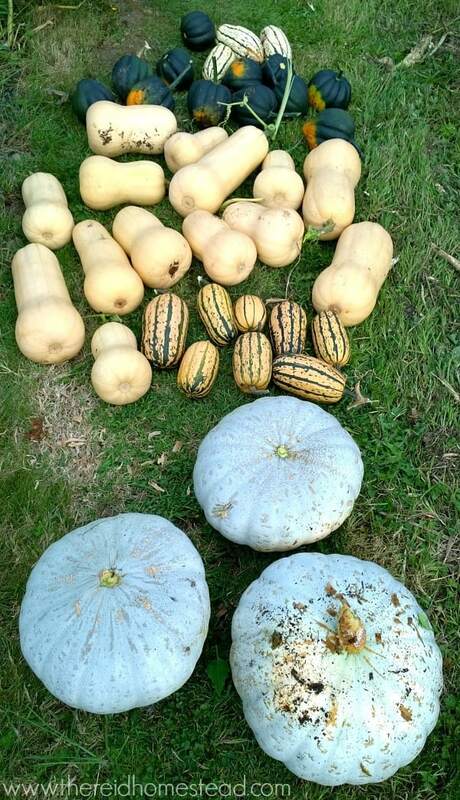 Blue Hubbard Squash, Sweet Meat Squash and Pie Pumpkins are others that will also work well. First thing you need to do is to get your pumpkin or squash all cleaned up and ready for roasting. Clean the exterior of the pumpkin or squash well, making sure to remove any dirt. Give the whole pumpkin or squash a good wipe down. Than carefully cut the pumpkin or squash in half. Remove all the seeds and membranes in the middle using a large heavy duty serving spoon and scraping the insides clean. Save the seeds for planting next year, or roast them in the oven for a great snack. If you have a LOT of seeds and membranes, and don’t want to deal with them, feed them to your chickens or other homestead critters! They love pumpkin, squash and the seeds! 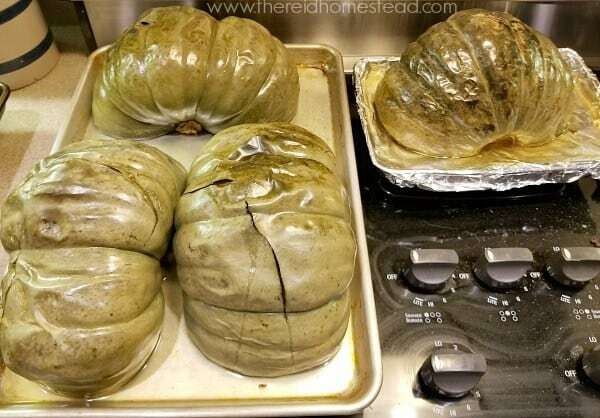 The are halves of Jarrahdale Pumpkins after roasting them. Turn the oven on and set it to 400 degrees. Cut your pumpkin and squash pieces smaller if they are really large, or leave them cut in half if they are a good manageable size to place on a cookie sheet and fit into your oven. 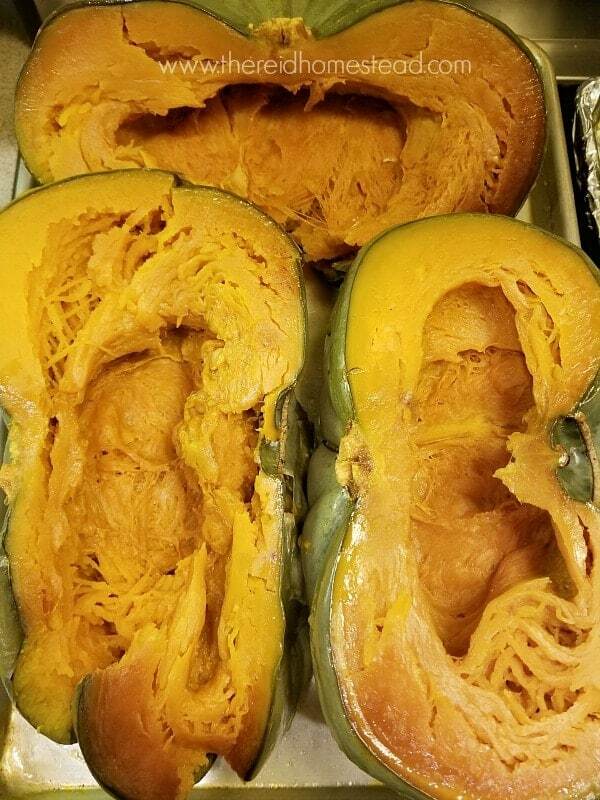 I like to turn the halves upside down, so the moisture within the squash kind of steams itself as it roasts. Leave in the oven until you can poke a knife into the pieces and it goes in easily. When they are soft, pull them out. Carefully using hot mitts, flip the squashes over to help them cool faster. Pop another full cookie sheet in if you have more to do. The same Jarrahdale Pumpkin halves after flipping them over to cool. When the squash is cool to the touch, you are now ready to get it ready for the freezer. I like to use either gallon or quart size freezer ziploc baggies. 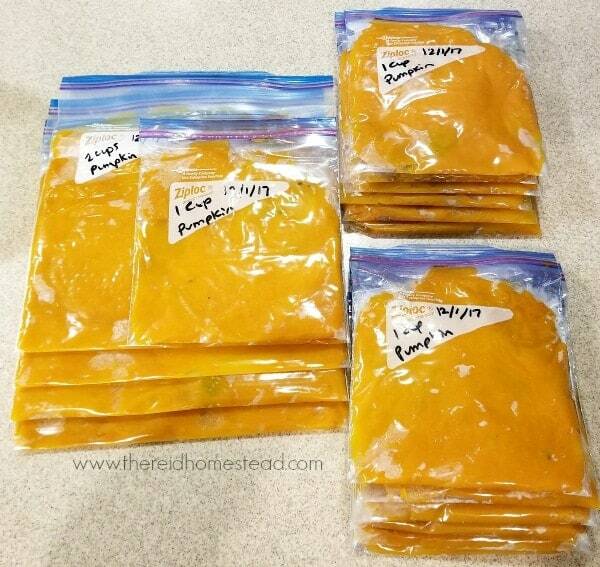 I use the quart size for placing 1 cup of the pumpkin or squash puree into the bag. This is just the right amount for me to add it easily to smoothies or my favorite, mixing it into steel cut oats as they cook. I put two cups into the larger gallon size bags, which is perfect for making pumpkin pies with. To easily place the roasted goodness into the baggies, find a cylindrical shaped item you can insert the bag into and then roll the open edges of the bag over the edge of the container. This will help to hold your ziploc open while you are scooping up the roasted pumpkin or squash. After placing the puree into the bag, lay it on a flat surface, and gently press the bag from the bottom to the top, moving all the air out and flattening the puree. Than seal the bag. I place these flat bags stacked on a cookie sheet, and then place the cookie sheet into the freezer. Once the puree is frozen, you can remove the cookie sheet from the freezer. You will have nice flat bags of the frozen puree which are easy to store in the freezer. Freezer bags full of lovely roasted pumpkin, ready to go into the freezer. As I mentioned above, my favorite ways to use the pumpkin or squash puree, is in smoothies, oatmeal or pumpkin pie. Check out my Hearty Pumpkin Spice Steel Cut Oats recipe! I also like to use it to make pumpkin bread or muffins or other desserts. For more savory options, I also like to make a vegetable pumpkin curry with it, or soup, or just warm it up as is for a wonderful side dish or for a holiday meal. 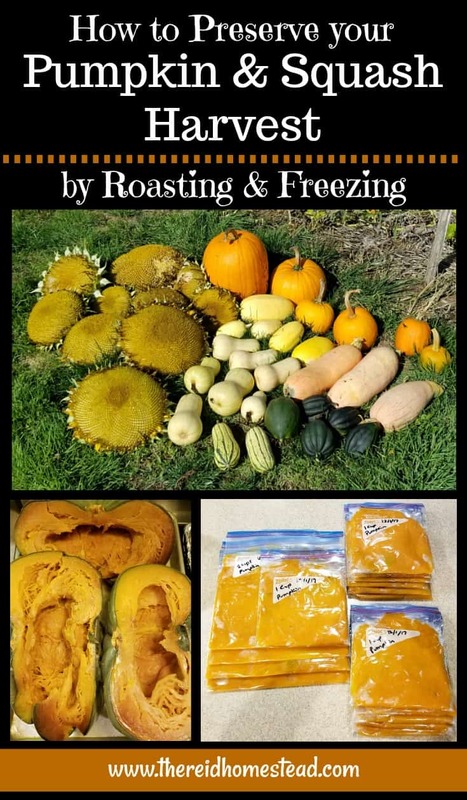 There are so many ways to use your frozen pumpkin or squash, please let me know your favorite way to use it! 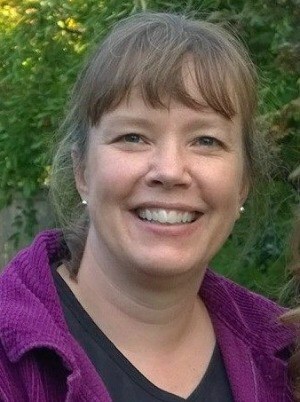 Join me in the Homestead Blog Hop! 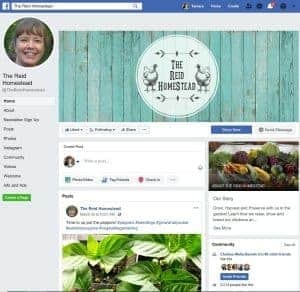 Come see the participants at The Homestead Blog Hop and read some other great Homesteading articles by awesome homesteading bloggers!